Today we know that the experience of eating is affected not only by the chemical composition of the food but also (if not mainly) but its structure – and texture. Texture parameters, such as crispiness, crunchiness, chewiness and softness, are important in food not only because they are related to its quality and shelf life, but also because they affect the culinary experience when eating a food product, from taking the first bite down to swallowing it. There isn’t a better way to understand texture than to examine it at the micron levels. 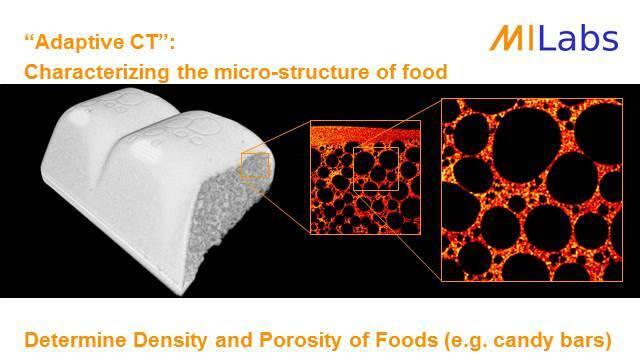 The porosity, fat distribution, ice and water content and additional physical characteristics that affect texture, are easily imaged and quantified by the use of high-resolution µCT instruments.